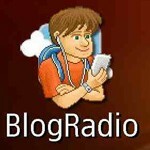 Blog Radio is the new innovation combining podcasting and feeds either RSS or Atom into your touch Nokia devices. Allowing you to listen to your favorite blogs, news, updates, and eliminate hefty time in reading all feeds. 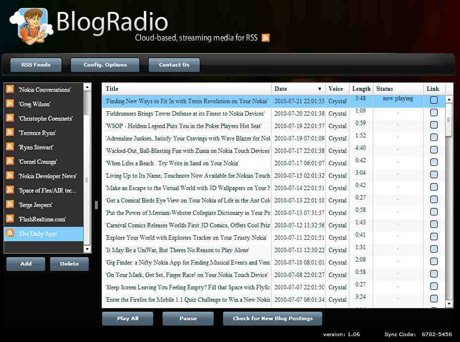 On the BlogRadio, all you have to do is add your favorite blog feeds and it will do all readings to you so it works like a podcast. To start the BlogRadio all you have to do is download the app from Ovi Store and it is accompanied by a desktop application where it manages all feeds and transform it to audio.